Enter to WIN FREE MOVIE PASSES for the rest of the year from MDhaunts.com! Enter to WIN FREE MOVIE PASSES for the rest of the year! 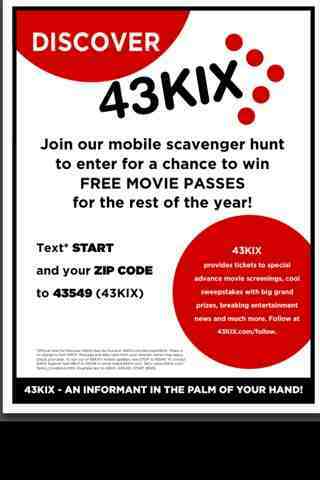 Text your zip code and the word START to 43549 today June 17. Contest ends June 28.